Now that the new year has passed, I believe it is now time to look for recruits entering university fall of 2019. The big name to replace here is Andrew Seliskar, who was a triple A finalist at 2017 NCAA's. Another recruit of interest is Brendan Burns, from the Upper Main Line YMCA (#1 PA, #2 Nat). Overall, he mostly has the same event lineup as Jake (see above), but adds a nice 500 free and backstroke to his repertoire. However, an instate recruit I would really prefer to have would be Noah Brune, from MVN. He primarily swims distance, but I believe that recruiting him to Cal would help offset the loss from not being able to recruit 2018 USC commit Owen Kao from Irvine Novaquatics. Jake & Carson swimming the Mixed 200 IM, Jake got the dreaded free/back/fly/breast order & Carson won the event! Henry: "I am happy to announce my verbal commitment to continue by academic and athletic career at the University of Virginia! 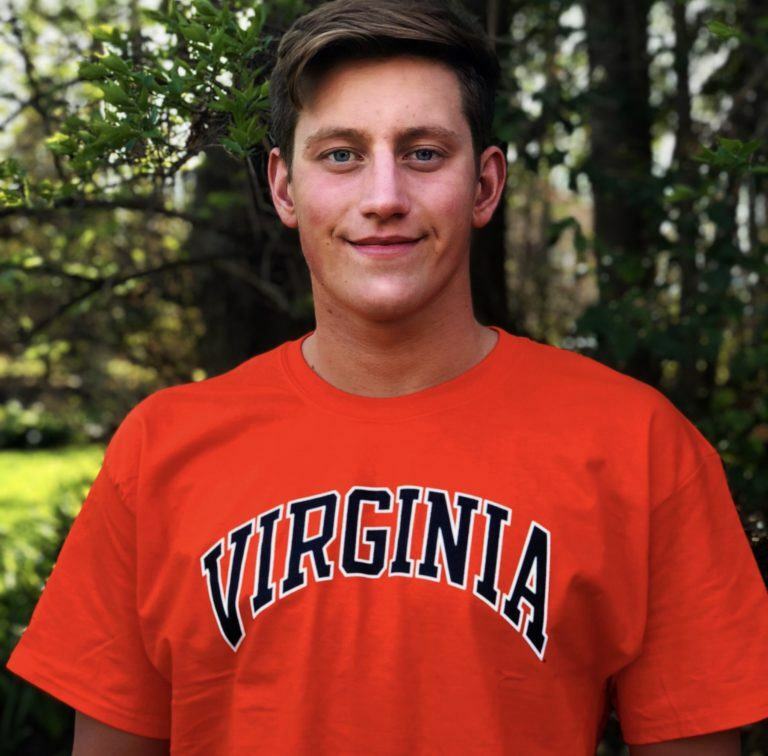 #GOHOOS"
Desorbo already making a huge difference at UVA, and especially with their great education, I won't be surprised to see many fast swimmers head over to Charlottesville. Julian: "So proud and stoked to announce my commitment to swim at Arizona State University! Many thanks to everyone who helped me along the way." Swims with Isabel, Caitlin, and Talia over at Gator Swim Club. Bowman recruiting quite a group over there in Arizona. Also considered Florida, Auburn, UVA, UNC, UGA, and Harvard. Sean: "I am excited to announce my verbal commitment to Tennessee class of 2023. I chose Tennessee because I love the team and the coaches and I feel it is a good fit academically. Go Vols!" 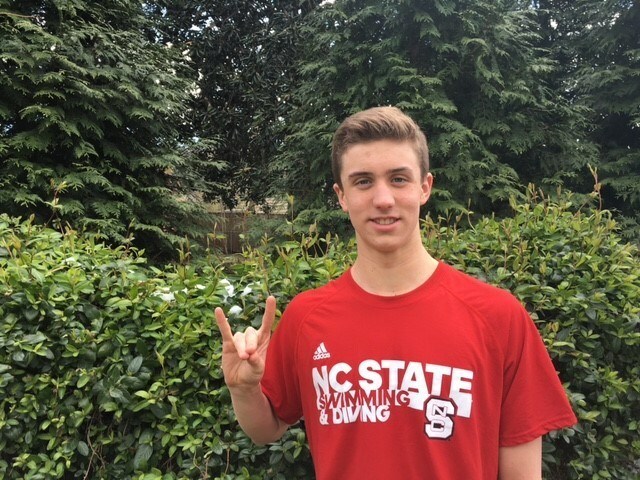 Noah: "So excited to announce that I have committed to swim at NC State in 2019! I am honored to be joining such great coaches and swimmers. Go Pack!" Some mentioned in some other thread that NC State has to go for internationals because it has trouble keeping in-state talent in-state, but looks like that may no longer be the case anymore! Tyler: ""I'm so proud to announce my commitment to further my swimming career at the University of Florida. Thank you so much to everyone who has helped me along the way. 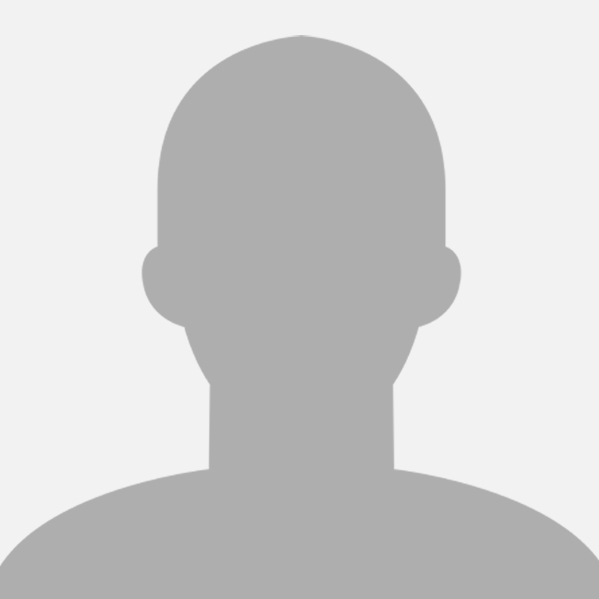 Go Gators"
Caspar: "When I was 11, I met Eddie in a Chipotle and asked for his autograph," Corbeau said. "From then on, I knew I wanted to be a Longhorn. I am very excited to announce my verbal commitment to the University of Texas class of 2019. Hook 'em!" Russian national Andrei Minakov (birth year 2002) trains with Concord Terrapins. Current star for the Terrapins is USC commit Alexi Sancov, a very talented sprinter. Minakov would be a terrific replacement for Justin Lynch, as he already has swum a 46.59 100 fly and a 43.94 100 free. Jonah Cooper, class of 2019 who swims with the Pleasanton Seahawks has a 100 back PB of 46.96 , 48.66 100 fly and 20.50 in the 50 free. Calvin David, a 2019 class teammate of Cooper, has very impressive distance times; 15:12.84 in the 1650 free and 4:21.66 in the 500 free. He would be a great addition to our distance group. Class of 2020 recruit Gianluca Urlando swims with Matt Whittle's club team, the Davis Aquadarts and is a top recruit in his class, sporting PBs of 47.62 and 47.36 in the 100 back and fly respectfully. South Bay sophomore Ethan Hu is another highly rated 2020 recruit who raced to a PB of 47.14 in the 100 fly this past Nov.
Pic was posted by our fellow friend Michael Andrew, professional swimmer, but we can see him, some of the Texas men's team, and the Fosters (Jake and Carson). 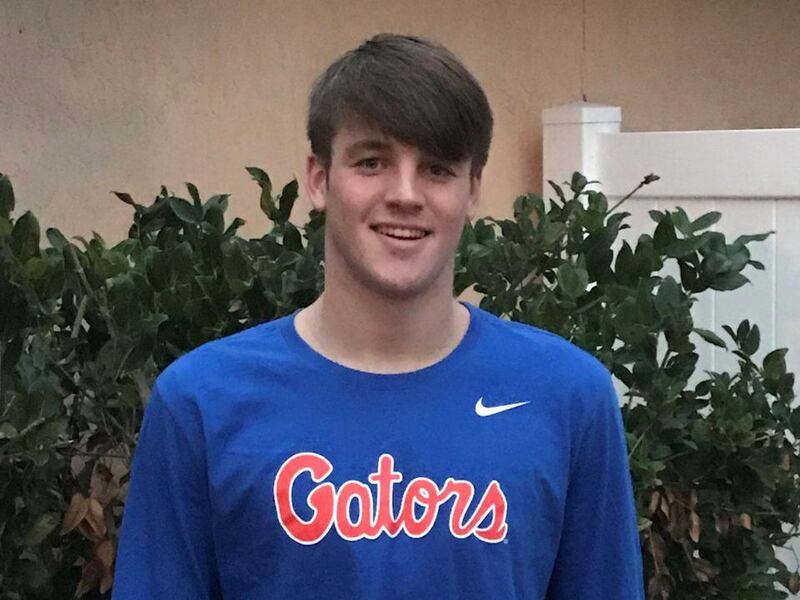 In addition to commits Trey Freeman (#1), Kieran Smith (#9), Miguel Cancel (#60), Dillon Hillis (#75) & Will Davis (#134) above, looks like Florida's also trying to woo the #1 2019 & 2020 recruits, siblings Jake & Carson Foster. 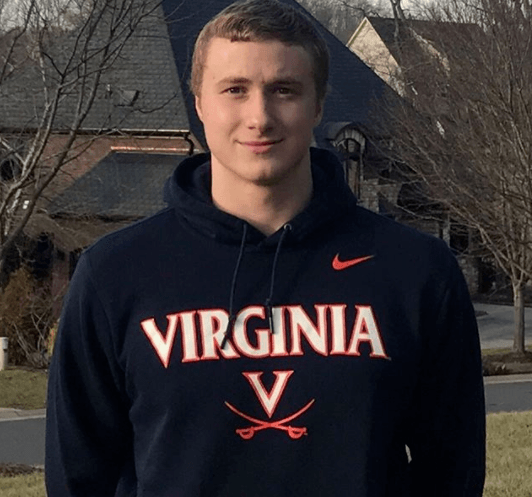 Jack: "I chose the University of Virginia for its unmatched academic prowess, outstanding team camaraderie, and the energy that Todd DeSorbo and his staff bring to the pool deck. WA-HOO-WA!" Walker boasts some impressive times, esp. his 1:33.7 200 free. UVA on the rise. 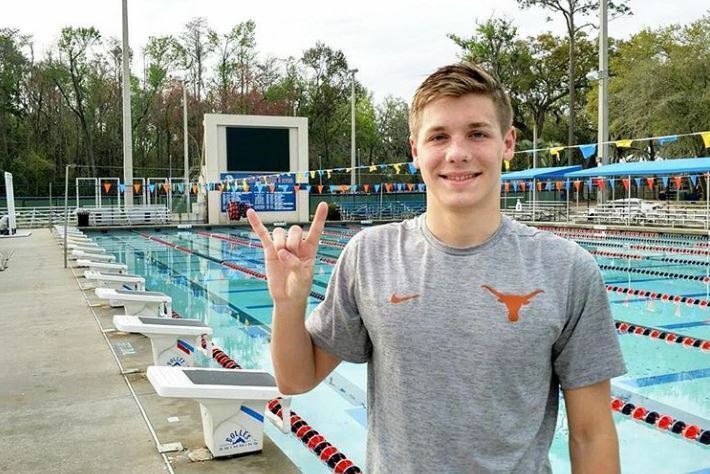 Peter: "I'm very proud and excited to announce my verbal commitment to join my brother and the Longhorn family at the University of Texas to study and swim. Hook 'em!!! #HornsUp"
Max: "I chose UVA because it has a history of excellence in both academics and athletics. I know I can achieve my goals with support from great coaches and teammates. I can't wait to get to Charlottesville and be a part of the UVA swimming family. Go HOOS!!" Jace: "I'm super excited to announce that I will be continuing my academic and swimming career at the Arizona State University under Bob Bowman! Go Devils!" Another recruit from North Carolina we should consider is Ross Dant (#5 Nat, #1 NC), who would greatly help our distance group, especially since a lot of the people in the '19 class are distance guys. Ross: "I am very excited to announce my verbal commitment to NC State University!! Thank you to all the people that have helped me get to this point!! #PBG"
NC State is starting to form an impressive class. Would've been a great addition to our distance group but I also knew it would be a stretch to get him. Verbals coming earlier and earlier, too. Welcome Calvin to the Bear family - nice get for Cal! Calvin David: "I'm very excited to announce that I have verbally committed to UC Berkeley to continue my academic and swimming career. I have always dreamed of going to Cal, and now, thanks to the support from my teammates, friends, family, and coaches, that is possible! Go Bears!" Welcome Calvin to the Bear family - big get for Cal! Yay!! Welcome to Cal, Calvin! Now all we have is to reel in his club teammates (PLS), 2019's Jonah Cooper, and Miranda Heckman on the womens' side! Yup, Jonah & Miranda would naturally be warmly welcomed here! Anyway, "Cal coming to Cal" does have a nice ring to it, dunnit? 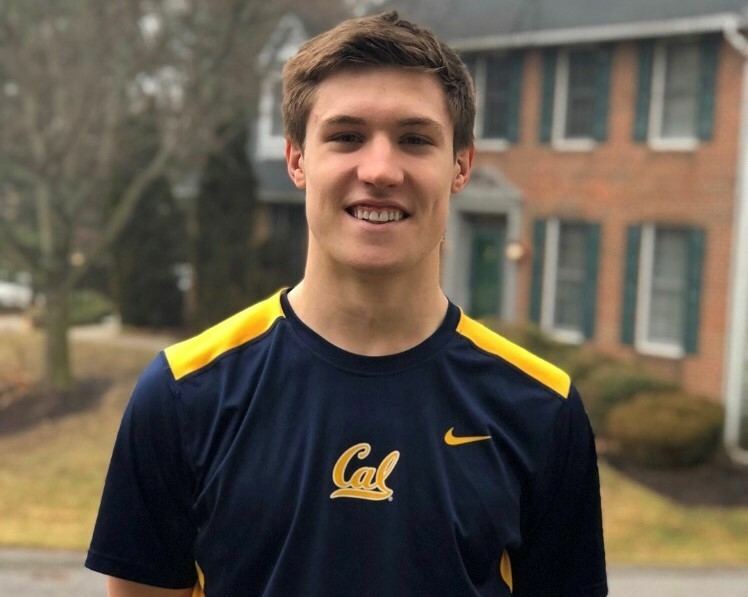 Pleasanton, California's Calvin David has given the University of California, Berkeley men's team its first verbal commitment from the high school class of 2019. David swims for the Pleasanton Seahawks and Foothill High School in Pleasanton. "I'm very excited to announce that I have verbally committed to UC Berkeley to continue my academic and swimming career. I have always dreamed of going to Cal, and now, thanks to the support from my teammates, friends, family, and coaches, that is possible! Go Bears!" David is a mid-distance and distance freestyler in the Pleasanton Seahawks tradition. While not as well-known as Maxime Rooney and Lleyton Plattel, he has already made a name for himself in California swimming. As a sophomore at last spring's CIF State Championships, David set the state meet record in the 500 free with his winning time of 4:21.66. He also placed 10th in the 200 free with 1:38.31. In club swimming last summer he was a top-24 finalist in the 200 free, 400 free, and 1500 free at U.S. Open. Similarly, he placed 11th in the 1650, 16th in the 500, and 24th in the 200 free at 2017 Winter Nationals. David will bring fresh legs to the Bears' distance free program, replacing Ryan Kao, Nick Norman, and Ken Takahashi, all of whom will have graduated by the time he makes the 40-minute trek from Pleasanton to Berkeley. He will join Sean Grieshop and Shane Forker in the Cal distance group, where he will have immediate impact: David would have finished in the top 8 in the 1650 free at 2017 Pac-12 Championships. He also would have scored in the B final of the 500 free and the C final of the 200 free. 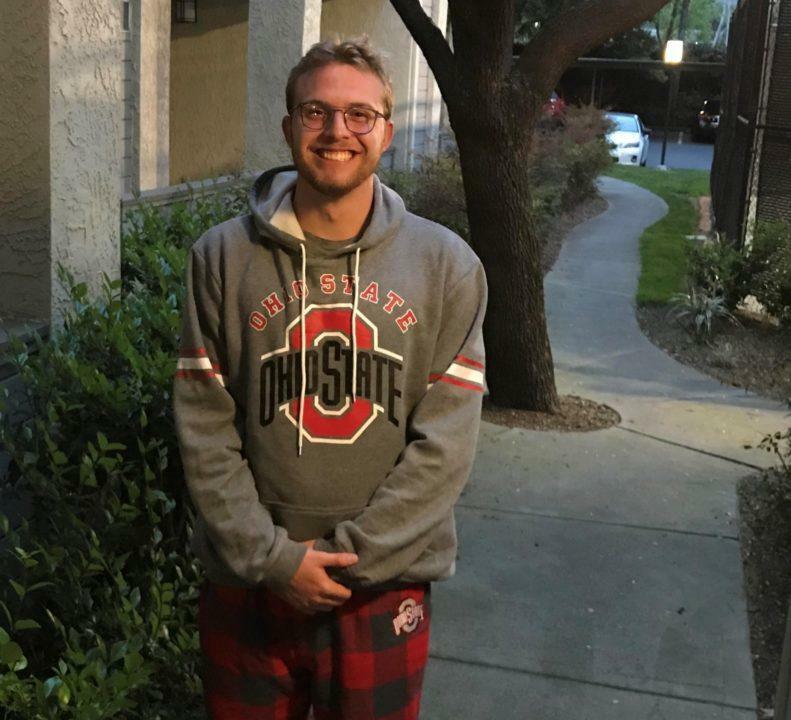 [url=https://www.collegeswimming.com/swimmer/449647/][/url]Jake Foster would have been the perfect replacement for Andrew Seliskar, as they excel in mostly the same events. Will: "I am beyond excited to announce that I will be continuing my swimming and academic careers at the University of California Berkeley! A special thanks to my family, close friends, and coaches for helping me get to this point in my Career #GoBears"
Yay, a beary warm welcome to the Bear fam, Will - you're going to love it so much here, just like big sis Lizzie did! Carson: "I'm so proud to announce my verbal commitment to swim for the University of Texas! So thankful for my family, coaches, and friends who have helped me get to where I am today! Can't wait to be a part of such a great team, culture, and history! HOOK'EM #UT2024"
and roomed with Reece at Jr Worlds. It's scary to realize that this is the second verbal of 2020 (Will Rose verbaled to ASU in late 2017...) Will Eddie even be there in 2024? I know he'll probably stay until 2020, but 2024 seems like a stretch. Plus, Eddie's 2016 class is probably one of his worst (no offense) in years (probably ran out of $$ from their 2015 class), so if he gets even more heavy-hitters in that year, that'll be extremely surprising. Carson is currently the #2 ranked 2020 recruit in the country, will be joining his brother Jake (2019 #5) on the Horns squad. Their sister Hannah (2018 #92) will be going to UT, but it's Tennessee rather than Texas in her case. 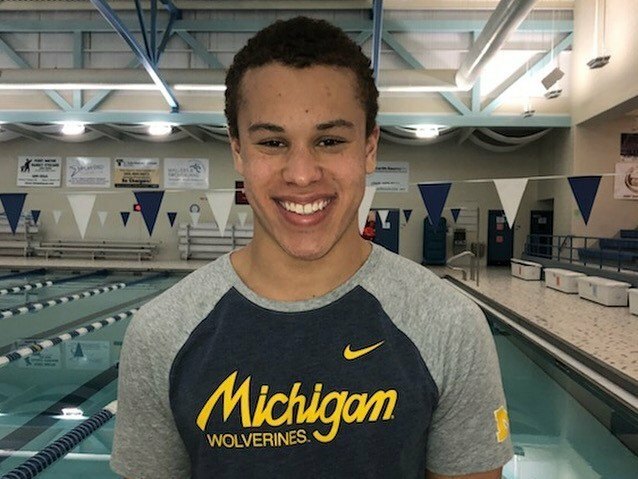 Noah: "I'm so pumped and proud to announce my verbal commitment to continue swimming and studying at the University of Michigan for the class of 2023! I want to thank everyone who has helped me along the way and pushed to achieve this goal! Go Blue!" 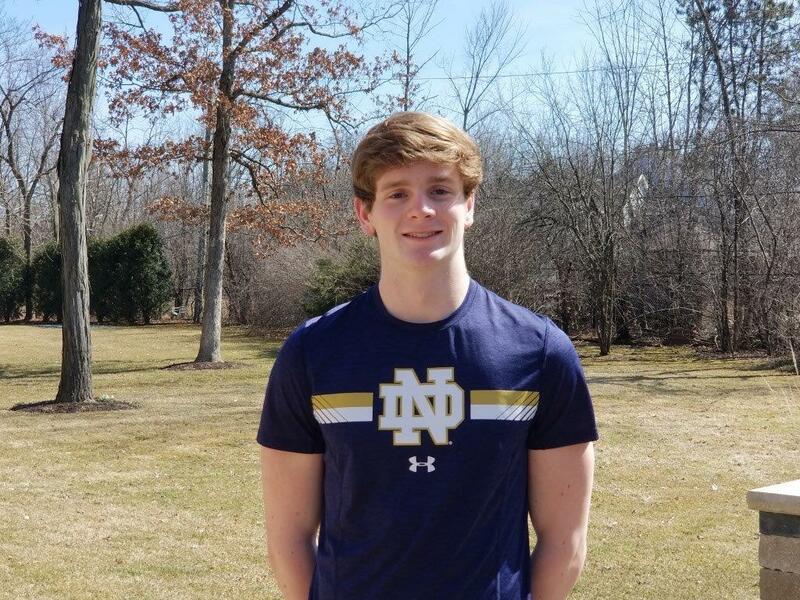 Topher: "I am extremely excited to announce my verbal commitment to the University of Notre Dame. The team atmosphere is unmatched and I feel that I can excel not only at the athletic level, but also the academic. Go Irish!" Paul: "Super proud to be announcing my verbal commitment to swim at the University of Texas. Hook' em!" Noah: "I'm super excited to announce my verbal commitment to swim for NC State! Thank you to everyone who has helped me along the way. I can't wait to be a part of such a great team and swim under some of the best coaches!" Wow, NC State just took a VA swimmer ! Jack: "I'm excited to announce my verbal commitment to the University of Virginia! So thankful for all my family, coaches, and teammates who have helped me get to where I am today. I can't wait to be part of such an exciting program at an amazing university! #WAHOOWA"
Yeah, Desorbo can recruit. So could Augie (for the women, at least). Let's see if he can develop more than he has this year. You can talk, but can you walk the talk? Promising recruit. This kid is now the 5th ranked recruit in the class of 2019, courtesy of collegeswimming.com. Very, very impressive time drops & staggering improvement curve for Caspar to shoot up from #81 to #5, wow!!! Sean: "Proud and excited to announce my verbal commitment to the University of Virginia! Could'n't have gotten here without the support of my family, coaches, teachers, and teammates. I can't wait to be part of such an awesome program! Go Hoos! Daniel: "Thrilled to announce my verbal commitment to swim at The University of Virginia! Very grateful for my family, coaches, and teammates who have helped me on this journey. The best is yet to come. Go Hoos!" 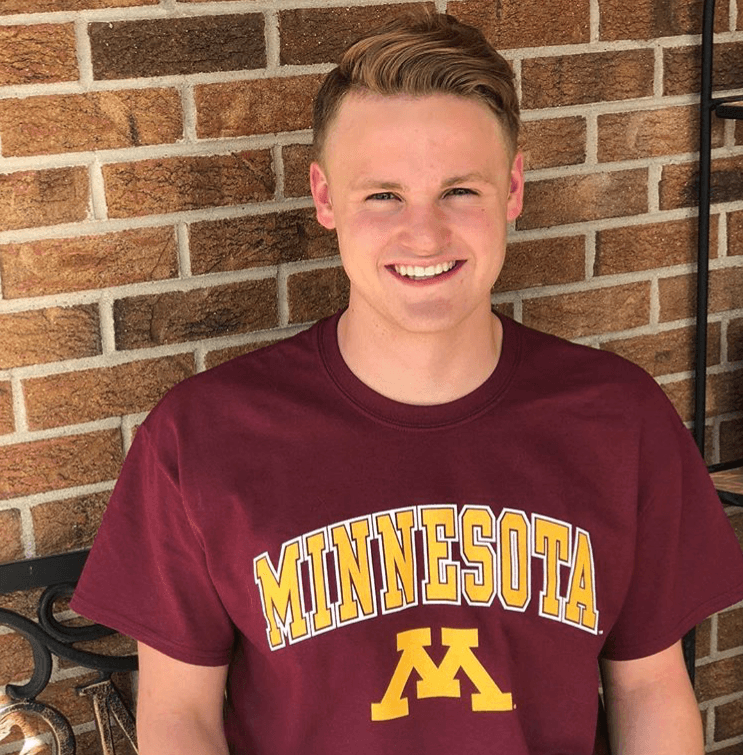 Gavin: "I am very excited to announce my verbal commitment to the University of Minnesota! When I think about my future goals and aspirations for swimming, I believe the University of Minnesota's swim program is exactly what I am looking for. The integrity of the program and coaching staff is something I can't wait to be apart of. Go Gophers!" 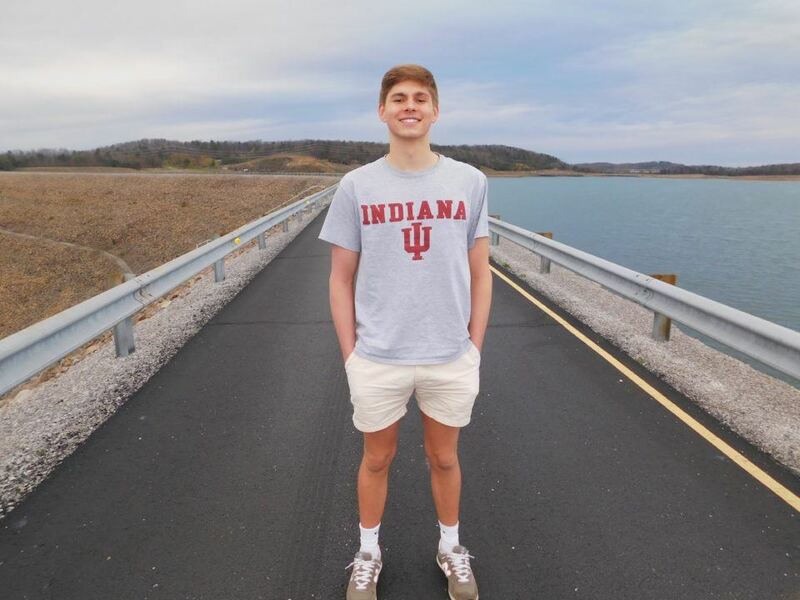 Jacob: "I am so incredibly blessed to announce my verbal commitment to continue my academic and swimming career at Indiana University! Thank you to everyone who has helped me get to this point" #Never-Daunted#HoosierDaddy"
Oak Hill, Virginia-native Daniel Gyenis has verbally committed to swim at University of Virginia starting in the fall of 2019. He will join Henry Schutte, Jack Walker, Jack Wright, Max Edwards, and Sean Conway in the class of 2023. A NISCA All-American and USA Swimming Scholastic All-American, Gyenis is a junior at Oakton High School and swims for Machine Aquatics. He is the VHSL 6A Northern Region champion in the 200 free (1:38.42, a school record), 500 free (4:27.00) and 200 medley relay (22.19 fly split), and the VHSL 6A state champ in the 200 medley relay. In addition to the medley relay win at the 2018 VHSL Class 6 Swim & Dive Championships in February, he was runner-up in the 500 free, took third in the 200 free and led off the fourth-place 400 free relay (46.05). In club swimming, Gyenis won the Fran Crippen Memorial Mile (15:26.45) at the NCAP Tom Dolan Invitational in December. 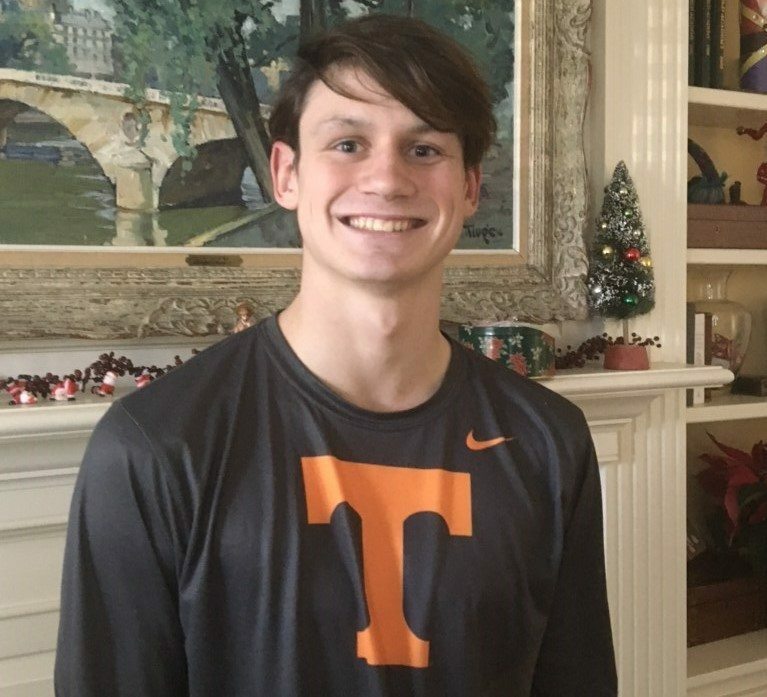 He competed at the 2018 NCSA Spring Championship in March, placing 7th in the 1000 free with a PB of 9:13.85; he was 16th in the 500 free and 24th in the 200 free. I thought I'd make a compliation of all the early commitments so far. All ranking are as of 4/9/18. Jonah: "I am humbled and incredibly thankful to have verbally committed to swim and study medicine with THE Ohio State University! I am honored to have the opportunity to achieve my goals of becoming a nurse at a World Class cutting edge medical center, and train at a D1 school. My family has grown, and I will join my new brothers and sisters in the Fall of 2019. I was impressed with the improvement seen in every team member, and the great results achieved by their new coaching staff lead by Bill Dorenkott, Matt Bowe, Mike Hulme, Jordan Wolfrun and Bryon Tansel. This outstanding new coaching staff and team atmosphere, provide a very comfortable and thriving environment. The medical facility is world class and I cannot wait to be a Buckeye!" Hunter: "I'm very excited to announce my commitment to North Carolina State University to further my academic and athletic careers. Thanks to my parents and coaches for helping me every step of the way. I'm very excited to join the Wolfpack Family! #GoPack"